A friend, myself and our kids took a nice hike up in Marin county today (Saturday). 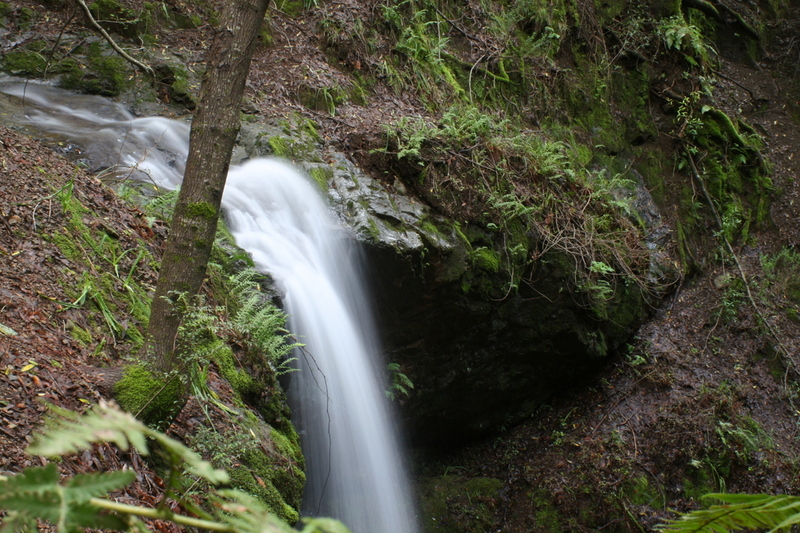 Our reward was a small waterfall at the top of the trail, which I made the subject of a couple of long exposure photos. Click the thumbnail to the right to see a 1/3 second exposure where I was holding the camera. Click here to see a longer 2-second exposure of the same subject, taken with the camera resting on rock. nice! What camera do you have? Hey Mike! Canon EOS 20D.